An 8-month-old Lab-American pit bull mix named Rudolph has been given a much-deserved and miraculous second chance at life. Rudolph was being housed at an overcrowded shelter in Oklahoma when he was selected to be put down. To the surprise of veterinarians, when they returned to the room after administering what was supposed to be a lethal dose of euthanasia, Rudolph seemed perfectly fine. He was then located to Kings Harvest Pet Rescue No Kill Shelter in Davenport, Iowa. Rudolph’s photo caught the attention of Jacob Hommer, who traveled two-and-a-half hours to meet Rudolph, hoping to relocate him to a forever home with a veteran in Colorado. This special story reminds us that resorting to euthanasia just because there doesn’t seem to be enough room for a perfectly healthy animal is a tragedy, because that animal, in fact, belongs somewhere. The miracle dog has been adopted, but details about his forever family are being withheld until he’s officially taken up residence at his new home. For now, enjoy getting to know Rudolph with this video! THAT SHOULD TEACH ALL THE ANIMAL SHELTERS A LESSON. STOP KILLING INNOCENT ANIMALS. NO KILL SHELTERS SHOULD BE EVERYWHERE!!!! YOU HO RUDOLPH!!! !THANK YOU KIND SIR FOR YOUR HUGE HEART IN RESCUING THESE BEAUTIFUL FURBABYS !!!! This beautiful, healthy, young dog was taken to the kill room. WHY? He only gets to live because he didn’t die on the table. If he has a home now, why not before his willful, intentional murder failed? We’ve supposedly been to the moon, yet the human race cannot figure out how to stop killing perfectly healthy, loving animals who have so much to give and want so much to live. We wouldn’t be committing premeditated murder of members of the vastly over-breeding human race — the only species responsible for the devastation and destruction of planet earth, so why innocent animals, who are guilty of NOTHING? These photos and stories are horrific, and inhumane. We need to keep being their voice and fighting for their rights! I live for the day that there are no more killing of “surplus” cats and dogs. Everybody – EVERYBODY – needs to be active in getting people to spay/neuter their pets. This is the only way we’ll stop the killings. Killing should never be the answer. .To Kings Harvest Pet Rescue No Kill Shelter in Davenport, Iowa – thank you for helping this sweet pup find his forever home. Please, help make the slaughter of ferals in Jefferson IA stop! T-N-R WORKS! The Safari Club is a ruthless group of hunters who need their egos stroked by the power they enjoy over wildlife! They get away with murder at conventions, selling rhino tables and other disgusting animal parts! Our exotic animals will gone one day, and they can be blamed for their extinction! Stop killing animals. No kill shelters only. Just wanted to say God Bless for all the amazing work you do. I can imagine it has to be heart wrenching but your commitment to making a difference are inspiring. Okay, my opinion is that ANYONE who attends The savage and evil Safari Club International Kill Fest is missing a chip of compassion in their brains and hearts. Low morality. Heartwarming and also heart breaking story about dear Rudolph who was euthanized and survived. 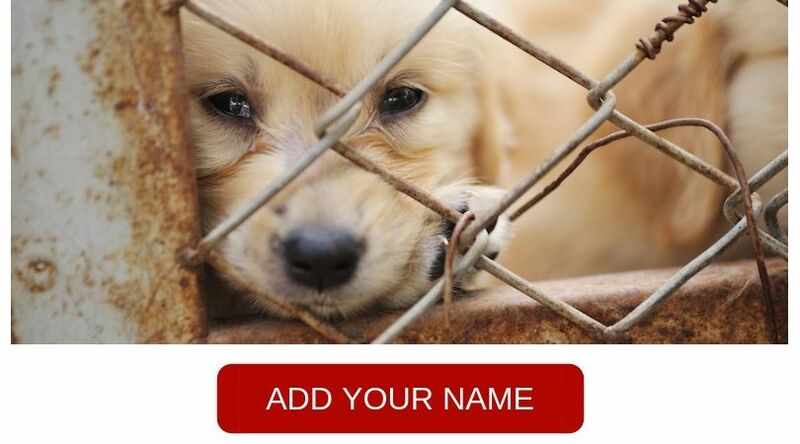 We all need to step up to prevent the thousands of animals killed in shelters. What a great story. I’m actually moved to tears. Thanks for sharing. Instead of spending money on Euthanasia why can’t you all spend a little extra money & SPAY/NEUTER all the Pooches who come on your way. It will help massively to reduce the breeding & multiplying these animals. ALSO TO BAN/STOP BACKYARD BREEDERS, and if they do so against the Laws, hefty fines be given together with the minimum 5 years behind bars. UNTIL THE JUDGES DO NOT HAVE ENOUGH BRAIN CELLS IN THEIR HEADS TO MAKE PROPER JUDGEMENTS TO FIT THE CRIMES COMMIT BY THE SUBHUMANS THIS EVIL EUTHANASIA OF SUCH LOYAL INNOCENT ANIMALS WON’T BE ABLE TO STOP. Either they did it wrong or it was divine intervention. Either way, Rudolph is a very special little boy and deserves a lovely new life. I love you Rudolph. I am glad you survive it, and hope you enjoy your forever new home. Thank you Jacob for helping. I’m so happy 2 know he survived and a second chance!!! Yippee!! Heray!!! THANK YOU, Jacob, for saving this beautiful dog! You have a heart of gold. Keep up your good works! How wonderful that Rudolph has been rescued; what’s even more sensational is that another person saw his potential enough to find him a forever home! I wish people could be more responsible with their animals and either don’t get a pet or treat the pet as a member of the family. Jacob Hommer, your a great man and if the world had more individuals with your compassion & humility, love, peace & compassion would prevail. Iam so happy 4 Rudolph & yourself. It’s great that this good little dog was rescued. However, why wasn’t this perfectly healthy, young dog sent to the no-kill shelter in the first place?? Can’t we use some reasonable judgement and have some human compassion and decency when making such decisions? Makes you wonder if we should keep the dogs and get rid of some of the humans…I hope this doggy will be happy in his new forever home. He is an expression of love and life. Many thanks to the wonderful person or persons who has given this “wonder pet” a forever home. I always detested “kill” shelters and I am so pleased that this pup survived their cruelty. What the hell is wrong with that shelter in OK??!! Killing a puppy!!?? What an adorable little thing. I can’t believe the shelter thought that killing him was the right move. Thank you Thank you Thank you for saving Rudolph’s life. He is BEAUTIFUL! HE HAS A PURPOSE (as does every living creature) and had a true angel watching over him and more angels now fighting for him!!! Damn these kill shelter and the monsters who work there. This beautiful boy is stronger and more humane than any of them. I truly hope he finds the best forever home there is. He so deserves it. Sorry Rudolph I called you a female. I stand corrected. You’re a beautiful boy! This is a miracle born out of a tragedy. I am so glad Jacob is trying to rehome Rudolph. Thank you Jacob for your love for him. Shameful that a vet would ever put down a healthy animal. Aren’t they supposed to help them? Strange values. So happy this puppy survived..but it’s a bittersweet story. This poor thing was “killed” because of some irresponsible idiot human. No one paid attention to this poor guy before, but now everyone wants him. Humans are strange.